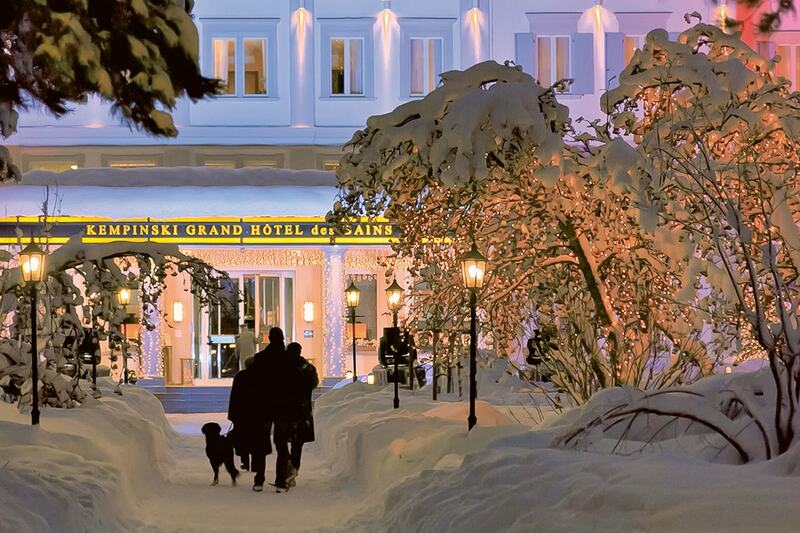 Discover Alpine settings, Swiss peacefulness and award-winning gastronomy at Kempinski Grand Hotel des Bains. Located in the heart of the Alps, this hotel has direct access to the mountains and sits next to the legendary Mauritius Springs. Enjoy the best from the Swiss Alps and taste it in the three awarded restaurants, including Michelin-star Cà d’Oro. Rejuvenate in the Kempinski Spa with its purifying spring water dating back to the Bronze Age. There are 184 rooms and suites and 27 residences. The chalet suites with one to four bedrooms in the grand building are elegantly and timelessly appointed and offer views of the mountains.